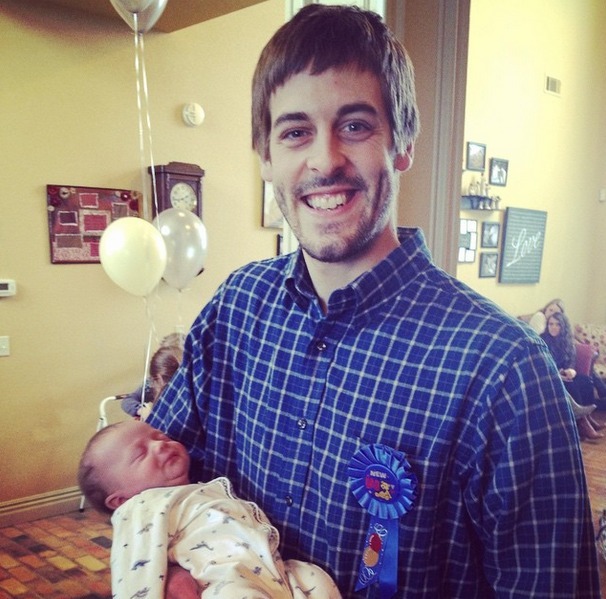 No, we still haven’t totally forgiven him for the whole cat/sledding incident, but gosh darn it if Derick Dillard doesn’t seem like he’s going to make a great father. 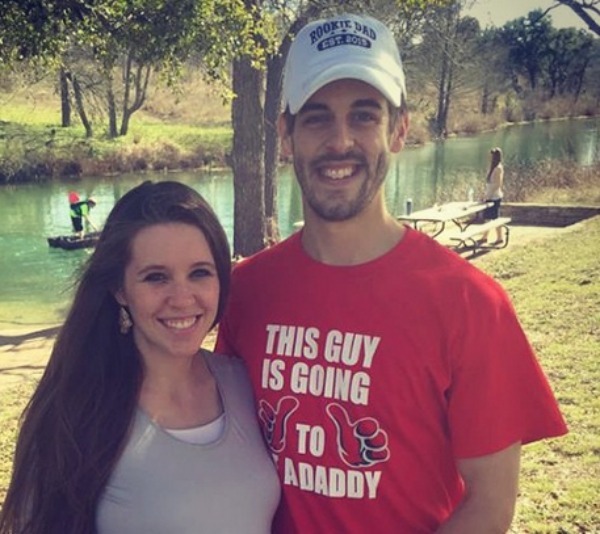 He’s a Duggar now, so isn’t being in the running for Father of the Year a prerequisite? 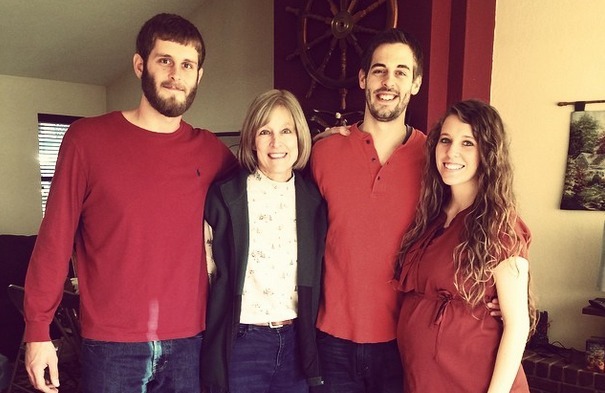 Derick is very vocal about how close he is to his mom and brother, always a good indicator how family-oriented a person will be when it’s their turn to have their own kids. 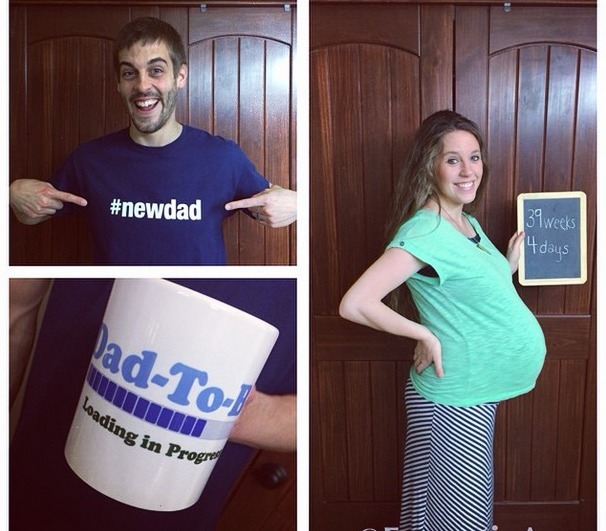 What’s got two thumbs and is going to be a dad? This guy! 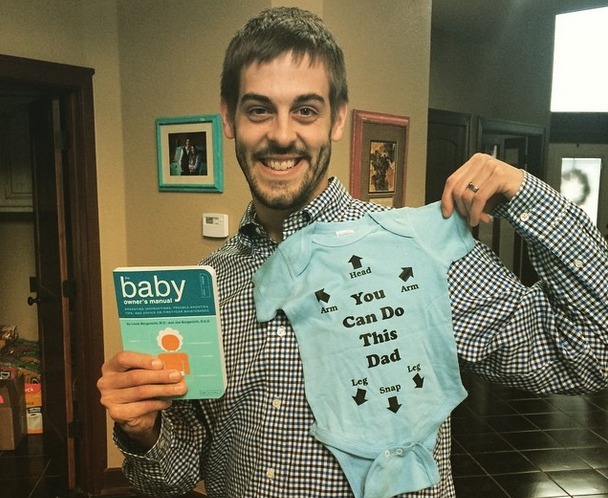 Derick is shouting to the world how stoked he is with his “rookie dad” hat and “this guy is going to be a daddy” shirt. Pretty cute. 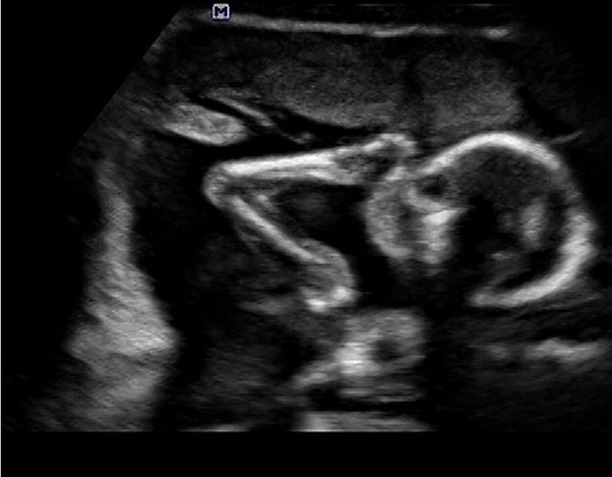 Sounds simple, but the thought of cradling an infant terrifies a lot of people. 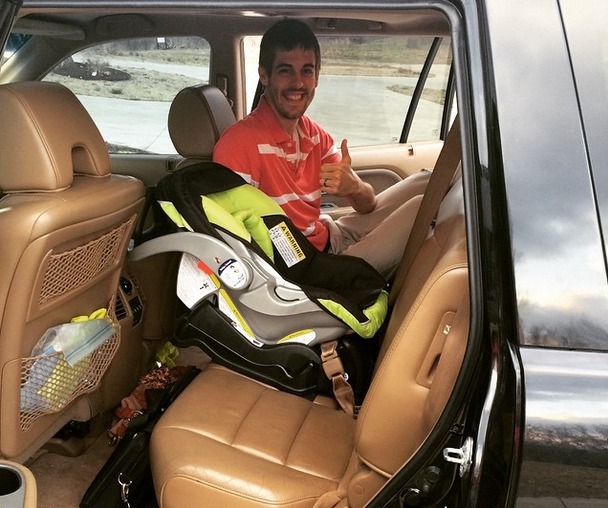 Derick is more than happy to help Jill set up shop for Baby Dilly. 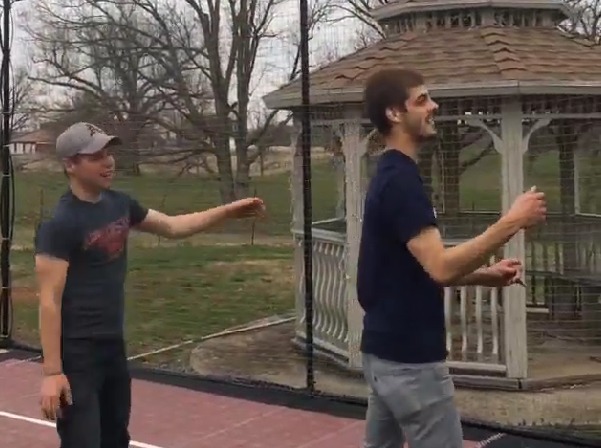 Derick likes to play basketball, as illustrated in a recent Instagram post by his wife, so it’s obvious he’ll always be outside playing with his kids. 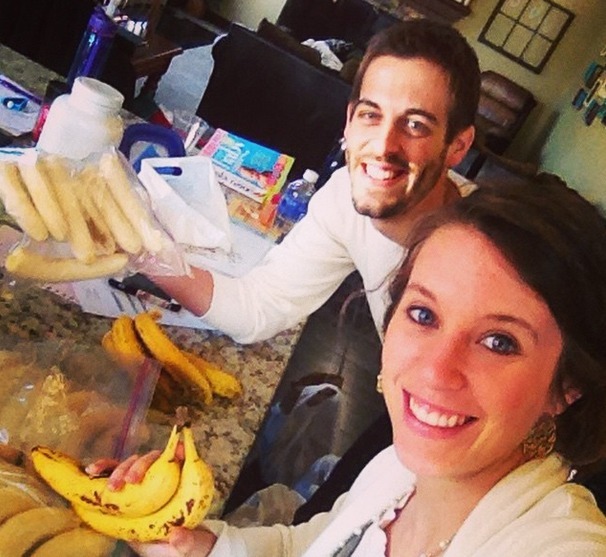 Derick’s got a good sense of humor and isn’t afraid to look silly. 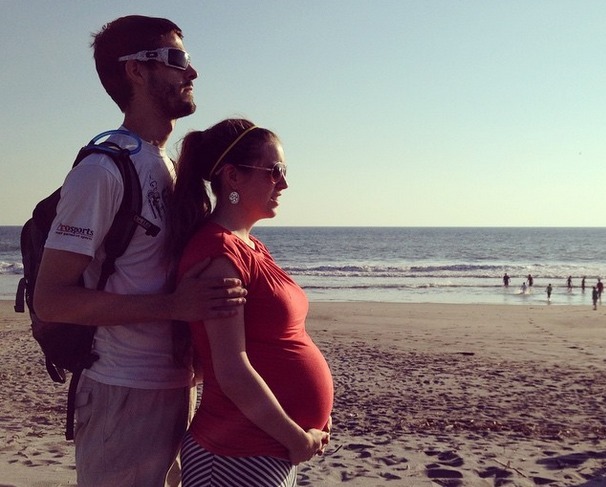 Dads can’t be afraid of people thinking they look like a dork — it’s what dads do best! 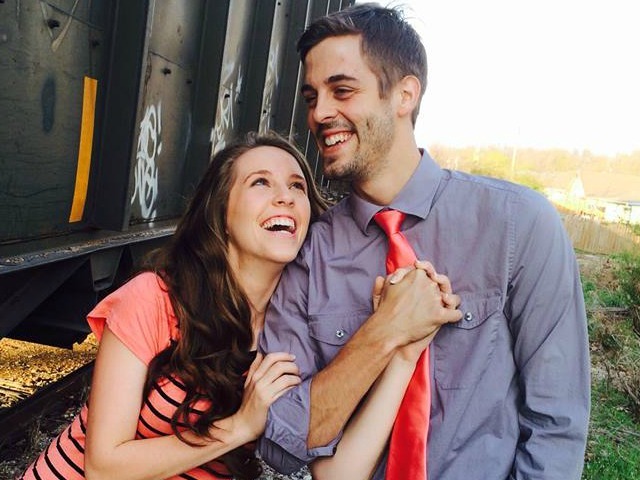 It really seems that Derick is concerned for Jill’s well-being. The concern will probably transfer right over to Baby Dilly. 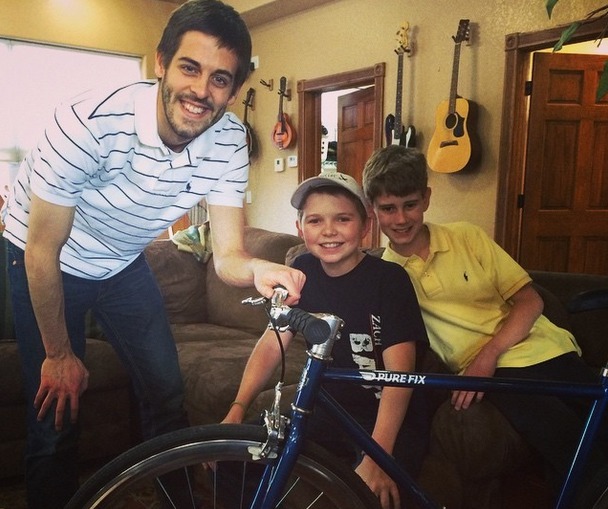 Derick always has a good time when he’s in the company of the entire Duggar clan. Papa Dilly couldn’t hide his glee recently when Jill found an awesome buy at the grocery store. He’s focused and saving up to give his new baby everything it could possibly need. Did we mention Derick’s excited?